that wedge is sick, gus showed me pics!!!! That dark wedge gave me goosebumps. As I sit here missing waves, I cry deep with in my soul. SBIM--hows Carmel Beach been lately? cryp who is that chick??? heres some secret cali eye candy... i love these. 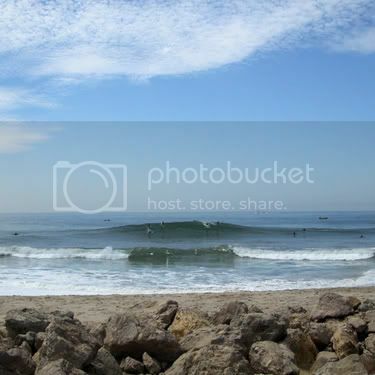 both courtesy of the shelly bean, man have we gotten good empty surf. hahaha too bad that place isnt secret and u guys jsut got lucky on a rare good daym. do u have a fear of spiders? rare good day? weve been there like 4 times and theres epic photos of all 4 times. proof. your just mad cause you never figured out where it wams. you can go eat a spyder and see if the side effects ever make you hallucinate something like this. For the millionith time.......It looks better everytime too. You rollin' down with Robbo? hmmm i know i wont get an honest answer but is that la jolla hemple? heimpel has never surfed real la jolla. danny cant even imagine the things weve seen... his mind isnt capable of it..
hoseph do you mean those two shelly pics? i mean the sequence of that wave unloading, is that lj?